In the age of the connected aircraft, the aviation community embraces a culture of resiliency and proactive collaboration to counter increasing cyber threats. Then came SwiftBroadband service followed by more powerful high-bandwidth satellites and Wi-Fi in the cabin, and with it, a proliferation of passenger smartphones and other devices. It’s not surprising that 81 airlines today offer a full range of IFEC services with the ability for travelers to connect their personal electronic devices [PEDs] to the aircraft’s wireless network. Airlines, he added, are increasingly investing in data analytics, not only to differentiate the customer experience with personalized services, but also to create operational efficiencies on the plane. Considering these advancements and news about cyberattacks on the ground, the question is whether the aviation sector can stay ahead of resourceful adversaries who have successfully exploited network weaknesses in multiple industries. Hacker Chris Roberts’ well-publicized claims to the FBI in 2015 said he had compromised a jetliner’s flight controls at least 15 times by connecting through entertainment systems. While his claims remain the subject of debate, the ordeal “was a wake-up call” to the aviation industry, recalled Schreiner. “There was a very intensive effort on the part of Thales, Panasonic, Boeing, Airbus and the federal government to work to validate or disprove Roberts’ claims about control systems,” recalled Schreiner. Schreiner emphasized that the aviation community and partners collectively determined that no such breach occurred, since the operational system that controls an aircraft’s navigation and safety functions is separate from the IFEC system. Though both Miller and Schreiner agreed that “no one is immune” from threats, they argued that the aviation sector is more process-driven to address security vulnerabilities quickly. That mindset wasn’t in place at Equifax, which was hit by a massive data breach early 2017 that comprised personal data on more than 145 million Americans. The cause: an earlier vulnerability that hadn’t been mediated quickly. Threat vectors of most concern to the aviation sector are ones where someone is trying to steal intellectual property, such as a film or a passenger’s personal or financial information. The other category, denial-of-service attacks, can disrupt customers’ IFEC viewing experience with degraded images, blackened screens or malicious messages appearing on passengers’ viewing screens. One security flaw, discovered by Belgium’s University of Leuven researcher Mathy Vanhoef, appears to affect Wi-Fi connections. The issue stems from WPA-2, a protocol that secures wireless networks. The flaw, called KRACK (short for key reinstallation attack), could allow a hacker within range of someone’s device to break encryption and potentially steal and manipulate data. According to Miller, passengers are not vulnerable when connecting to onboard Wi-Fi because those networks typically do not use WPA-2. But airline crews do connect to WPA-2 networks, which require a common password before using tablets and electronic flight bags. Many industry observers point out that there are key differences in how airline service and hardware providers go about outfitting systems on aircraft that make them less likely to be vulnerable the way that public wireless hot spots in places like a coffee shop would be. Panasonic, including its automotive and eco solutions for smart cities businesses. “There’s a constant dialogue going on among our security teams, and that gives us an extra layer of knowledge sharing,” he said. Thales takes a similar approach, leveraging security knowledge across the broader Thales Group. Today, 19 of the world’s 20 largest banks, four of the five largest energy companies and 27 NATO countries rely on Thales for risk assessment, penetration testing, key management and encryption. Many of the same tools and expertise are applied to protect Thales IFEC systems. Satcom Direct, which primarily serves business aircraft, made an investment three years ago in its infrastructure, which is now privately owned. “We made sure that network connections from the air to the ground are over a secure satellite connection and that it comes into a secure infrastructure,” said Chris Moore, chief commercial officer for Satcom Direct. 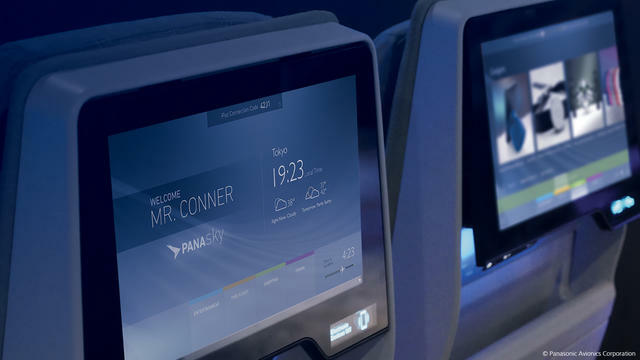 Thales and Panasonic also emphasized the role their network security operations centers play in constantly monitoring their airline customers’ in-cabin networks and the devices connected onto cabin IFEC systems. In addition, many are making cybersecurity monitoring a direct service to their airline customers. At this year’s National Business Association trade show, Satcom Direct announced SD Pro, a web-based platform that delivers flight planning, scheduling, flight tracking, flight data, connectivity monitoring and maintenance tracking via a single access point. “We’ve seen quite a ferocious uptake. We’re actually offering the cybersecurity module as a default for our SD Pro customers,” said Moore, noting that 7,500 aircraft are using the tool. The cybersecurity module allows customers to see low, medium and high-level threats to their network in an easy-to-understand format. “We offer a comprehensive approach, including education, threat monitoring and full-on VPN. An important first step, our Cyber Security Audit, helps flight departments understand vulnerabilities from the various devices boarding the plane, down to the security policies of their suppliers,” Moore added. Thales’ 2018 roadmap includes delivering a real-time security monitoring capability. “We’re looking to bundle cyber services with other types of services to create greater value and help airlines operate more efficiently,” said Schreiner. The companies also emphasized their commitment to continue to increase the industry’s cybersecurity awareness and readiness. Satcom Direct briefs members of its customer advisory board quarterly on current and emerging technology and security issues, while Panasonic hosts an annual security conference, where customers, original equipment manufacturers (OEMs) and government agencies are invited to discuss security approaches and to tour the company’s network security operations center. In November, Thales partnered with the Atlantic Council’s Cyber Statecraft Initiative to release an in-depth report, “Aviation Cybersecurity—Finding Lift, Minimizing Drag.” The report, underwritten by Thales with input from security experts across the industry, examined major cyber threats, vulnerabilities and potential solutions. One of the contributors to the report, Jeffrey Troy, executive director of the Aviation Information Sharing and Analysis Center (A-ISAC), expressed confidence in the industry’s continuing leadership and track record for safety. “I’ve seen the passion of these companies for security,” said Troy, a former FBI special agent. Airline manufacturers have well-defined processes and built-in validations to ensure that safety is paramount in the plane. “Before cybersecurity ever became the problem of the day that everyone is addressing, safety has been an incredible focus of the entire industry, and the results of that focus you can clearly see in the safety record of the industry over the years,” Troy said. A-ISAC’s mission is to share security information across the aviation sector. According to Troy, the number of association members has doubled in 2017 and includes airlines, airport operators, OEMs, and service and technology providers from five continents. “Collaboration is paramount. That’s the mission of the A-ISAC. The significant increase in companies joining the A-ISAC is testament to how much they want to be able to collaborate with each other,” he said. What’s the Next Big Cybersecurity Challenge for Securing the Passenger Cabin? To what extent must hardware manufacturers, service providers and others across the satellite ecosystem collaborate to ensure secure cyberspace for their customers? During a panel at the 2017 CyberSat Summit in Tysons Corner, Virginia, in November, experts agreed that one of the biggest challenges in cybersecurity today is the ongoing transition to an ecosystem where competing companies must cooperate on joint solutions for their shared customers. 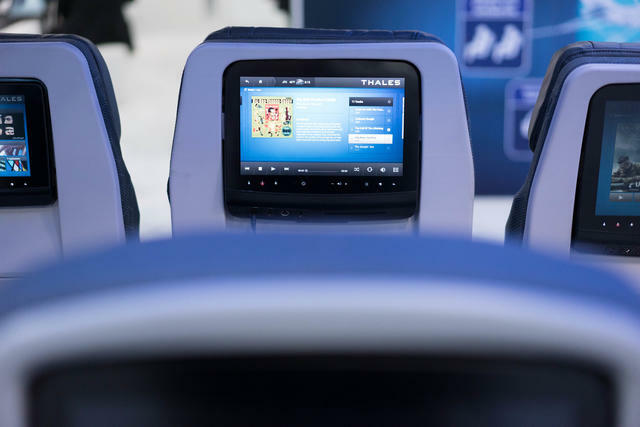 In-flight connectivity for airlines exemplifies a vertical that may leverage solutions from multiple companies to serve their customers’ needs. “Instead of using one constellation, there may be one or two or three; instead of one point of presence (POP), it may be two or three,” said John Zban, CIO at Satcom Direct. The crux of the cybersecurity issue, the panelists agreed, is that all nodes within the satellite ecosystem must be resilient. “If you have a chain and it’s made of titanium, [a] paper link diminishes the strength of the entire chain,” Zban said. 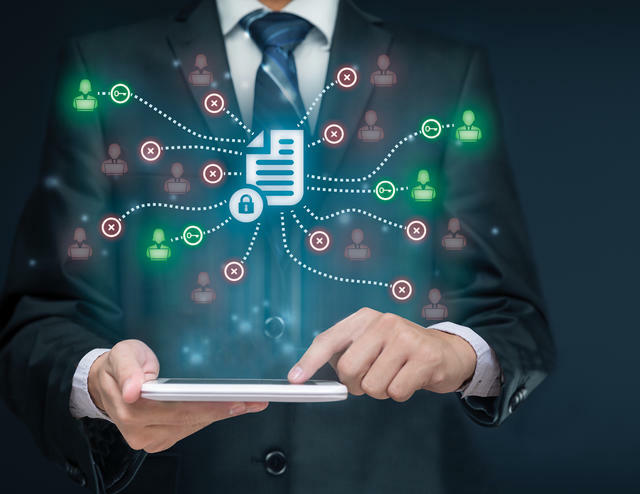 A paradigm for sharing critical cybersecurity information already exists in the form of the Information Sharing and Analysis Center (ISAC). Since 2012, ISAC has featured threat warning and incident reporting capabilities divided by sectors, allowing those operating in aerospace, for example, to share actionable information related to cybersecurity and situational awareness. But the panelists agreed that the organization is not the only and final solution to coordinate efforts across the satellite ecosystem.